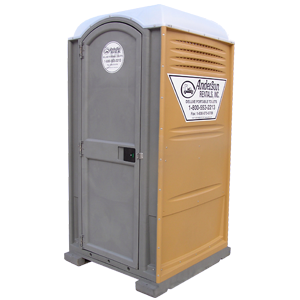 Portable Restroom w/ Alcohol Gel | Anderson Rentals, Inc. Portable Restroom w/ Alcohol Gel – Anderson Rentals, Inc. 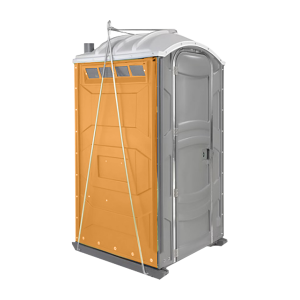 Equipped with standard venting, urinals, spring loaded doors, inside latches and also offering an alcohol gel sanitizer – these are the perfect solution for smaller events or large locations where units need to be distributed for easy access. 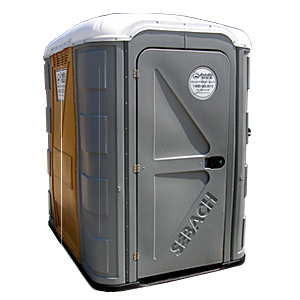 Its innovative European styling provides a smooth surface and roomy interior. 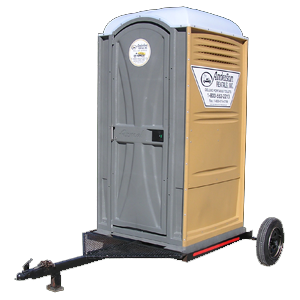 We have a large number of new units reserved for special events. 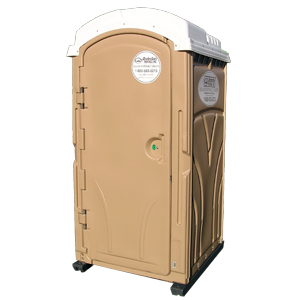 Rental includes delivery, set-up with deodorizer, gel, toilet paper and removal of the unit. 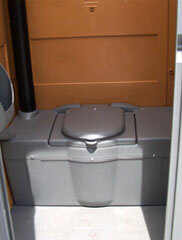 If you need handicapped facilities, please refer to the Americans Disabilities Act.